At Deer Valley Dental Care in South East (SE) Calgary, we can assist with denture problems with mini-implants. Mini-Implants are an option for securing dentures with ultra-small diameter titanium alloy implant screws. They come in six different lengths; 6, 8, 10, 13, 15 and 18 millimeters. Mini-implants are so narrow they are typically inserted directly through the overlying gum tissue and into the bone underneath. Then a small receptacle is inset into your denture and, once completed, the implant will hold your dentures in place without slipping or tilting and without messy pastes, tapes or glues. What is the primary and most effective use for mini-implants? The most effective use of this unique dental product is stabilization of a full lower denture; they can be used for upper dentures and partials as well. Many upper denture wearers have enjoyed the absence of the plate covering the roof of their mouth by having mini-implants installed. The implants secure the upper denture in place eliminating the need for the portion of the upper plate covering the roof of the mouth. This allows the removal of this part of the denture at the time of the install, allowing wearers to once again have all the sensation and taste they were used to before wearing dentures. While all dental implants require care during insertion to avoid encroaching on vulnerable nerves, sinuses or bony structures, the ultra small width of the mini-implants offers a comfortable margin of safety. How long will mini-implants last? Mini-Implants are particularly effective in selective anterior single tooth replacements. It must be recognized that all implant systems, as well as natural teeth, are subject to potential failure due to natural causes, including osteoporosis, poor oral hygiene, wear and tear, attrition, poor health, heavy stressful biting habits, and lack of follow-up dental maintenance care. Mini-implants do not carry any actual, or implied, guarantee of longevity. How much do mini-implants cost? Every patient will have different needs and therefore it is difficult to know exactly how much mini-implants will cost you. 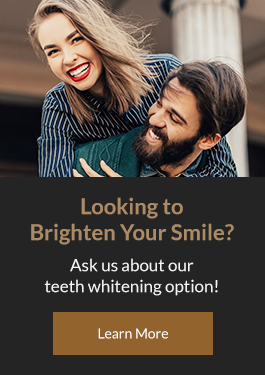 At Deer Valley Dental Care, we will provide you with a complete estimate of how much your specific needs will cost after your initial consultation. At this point you will be able to decide if mini-implants fit into your budget. We also offer different payment plans to allow almost anyone to experience the benefits of mini-implants. Contact us at Deer Valley Dental Care today to inquire about mini-implants.